The Lincoln Train Museum offers an assortment of historical tours and outings in Gettysburg, Pennsylvania. 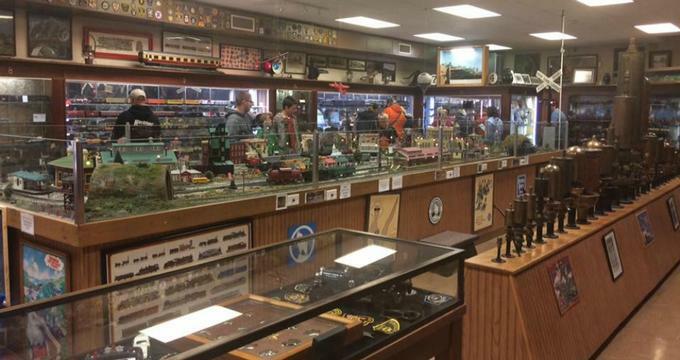 Whether choosing to peruse a museum filled with relics and artifacts from times gone by or enjoying haunts from the local Gettysburg Haunted Tour, the Lincoln Train Museum offers a wide assortment of activities that allow visitors to learn much more about the history of the United States in various ways. The Lincoln Train Museum has varied days and hours of operation based on the time of year. The following are the applicable hours of operation. ?Winter hours are subject to change due to inclement weather. ?Closed on major holidays such as Thanksgiving, Christmas Day, and New Year's Day. The Gettysburg Attraction Plan - This tour package allows individuals to tour up to three different sites, all within walking distance of the historic Steinwehr Ave. Some tour site options include the Spirit of Gettysburg-Historic Museum and Attraction, the Haunted Gettysburg Tour, and Gettysburg Diorama and History Center. Visitors have an assortment of options to choose from when creating their own self-made tours at the Lincoln Train Museum. Additional tour add-ons, such as the Haunted Gettysburg Walking Tours as well as the Gettysburg Heritage Center, can be added for an additional cost. For more information on group tour offerings and pricing, contact the Lincoln Train Museum directly at (717) 334-5678. · Children aged five and below are free. · Reenactors participating in Gettysburg events while in period dress are admitted for free. · Active and/or retired military, police, fire, and EMS personnel receive $1.00 off per admission. · AAA members receive $1.00 off per admission. All admissions are subject to the applicable 8.1% amusement tax. Specialty group rates are available for groups of 10 or people. Please contact the Lincoln Train Museum directly at (717) 334-5678 to determine group rate pricing and discounts.